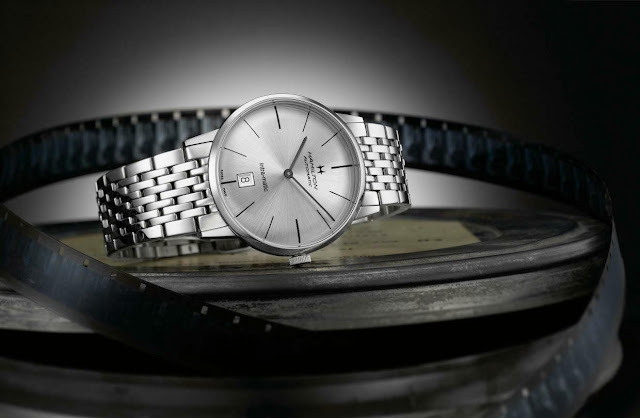 The new for 2012 Hamilton Intra-Matic watch lends more than a little from the current hot demand for Mad Men style 60’s watches suitably enlarged to meet with today’s less slender wrist. 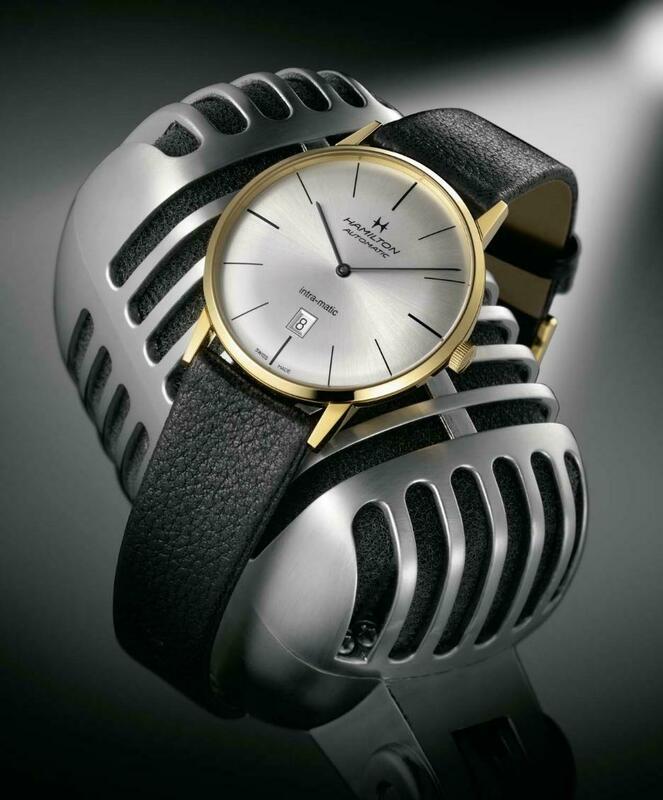 Launched in the year of Hamilton's 120th anniversary, the Intra-Matic pays tribute to the elegance and slender dimensions of the bestselling original (the case measures just 7 mm in height without crystal) but its Büren micro-rotor automatic movement has been replaced with a high-performance 2892-2 automatic movement with a 42-hour power reserve visible through the glass covered case back. The Hamilton Intra-Matic watch is available in 38mm and 42mm cases and features a retro look with a clean, slim, elegant dial capped with a domed sapphire crystal. The watches come in stainless steel or yellow PVD and in black or silver dials. The dial features long, lightly curved minute and hour hands and 12 thin hour indices described as "an expression of the quintessential character of Hamilton watchmaking." The date window is placed at the 6 o’clock position opposite a retro Hamilton logo. 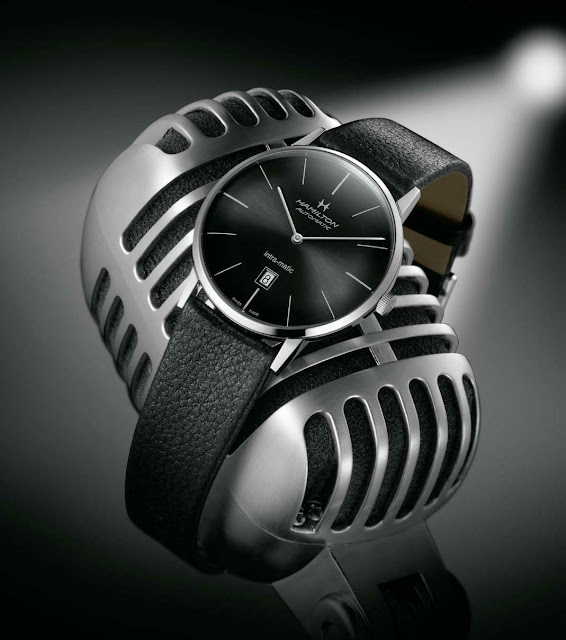 The watches are priced at $945 for the 42mm version and $845 for the 38mm version.